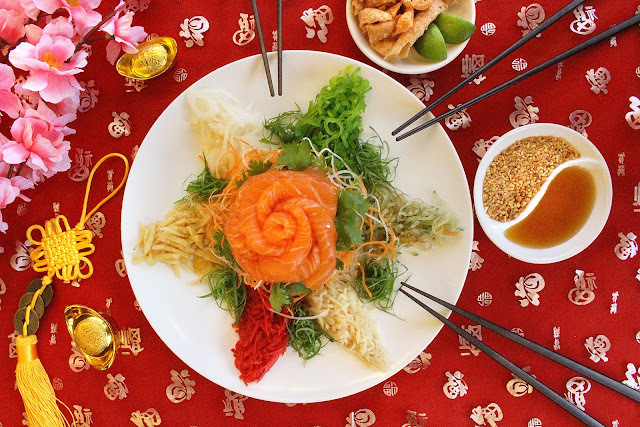 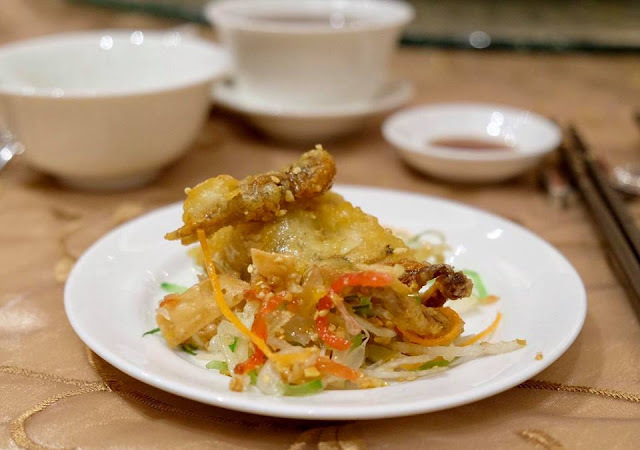 If you are bored of tossing the same yee sang every year, this tasty and refreshing Fruit Yee Sang with crispy Soft Shell Crab will definitely tantalize your taste buds. 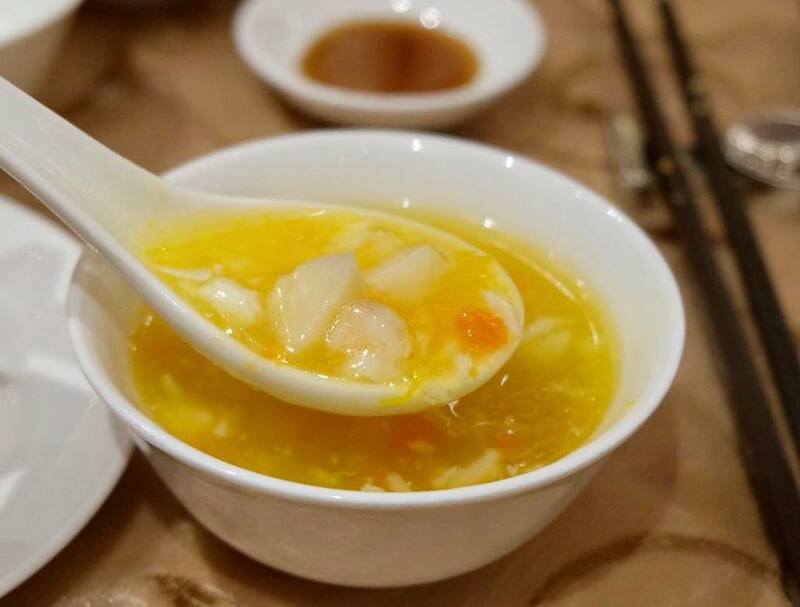 The thick and luscious soup comes with an abundance of sea treasures such as scallop, prawn, crabmeat and much more was absolutely divine with a depth of flavour. 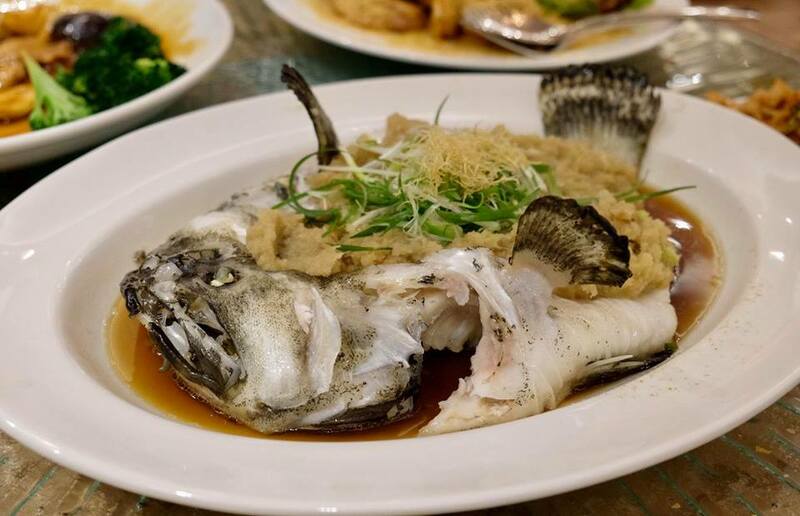 Delicately steamed, the fish topped with an abundance of flavourful ginger sauce and crispy shredded ginger was absolutely delish. 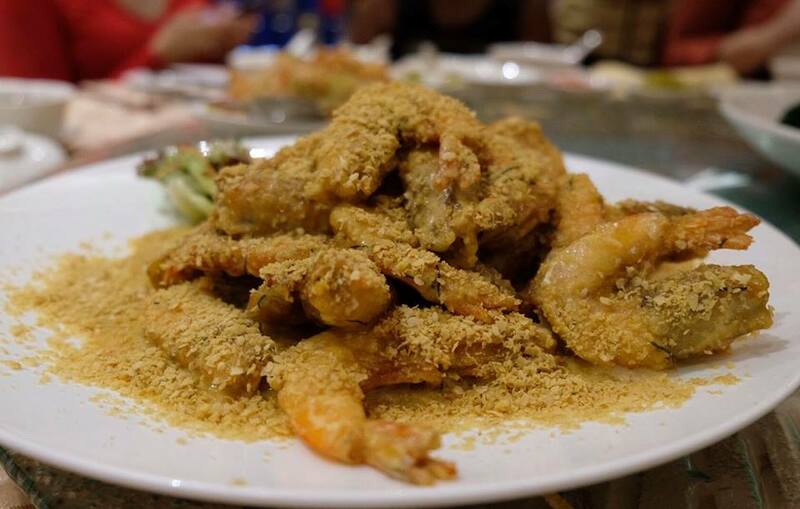 This is definitely one of my favourite dish, the mouth-watering prawns were highly aromatic, superb fresh and succulent. 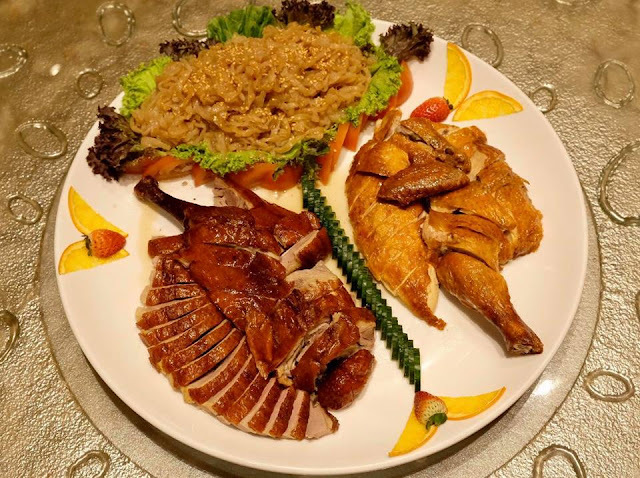 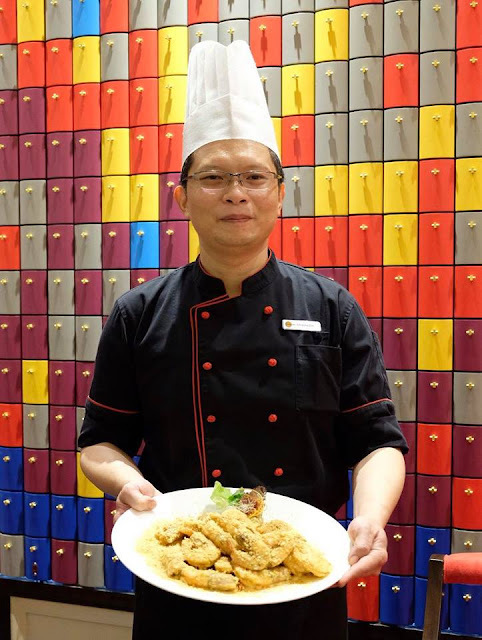 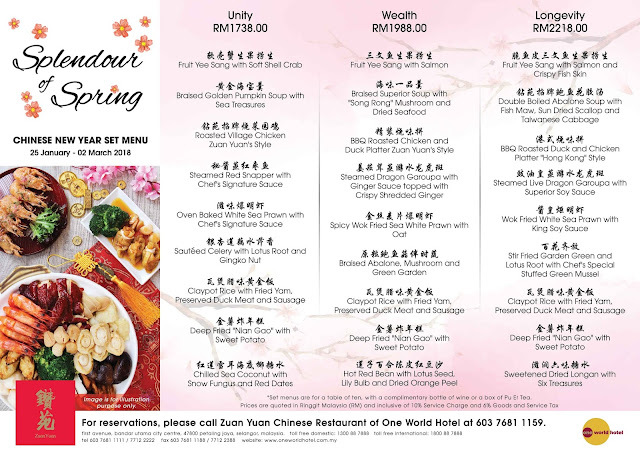 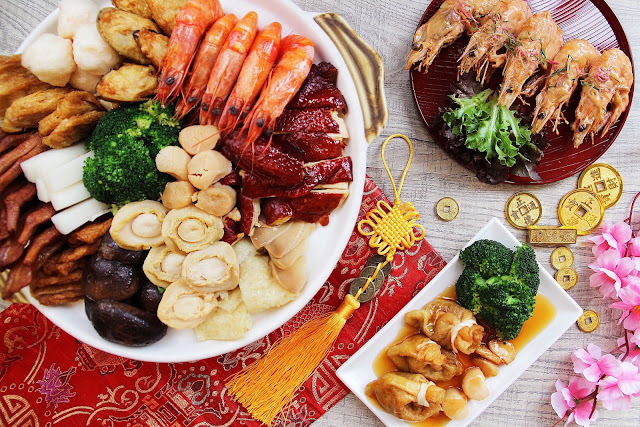 The sumptous Zuan Yuan's platter features delectable crispy and juicy roasted duck and chicken served with the refreshing icy cold jellyfish. 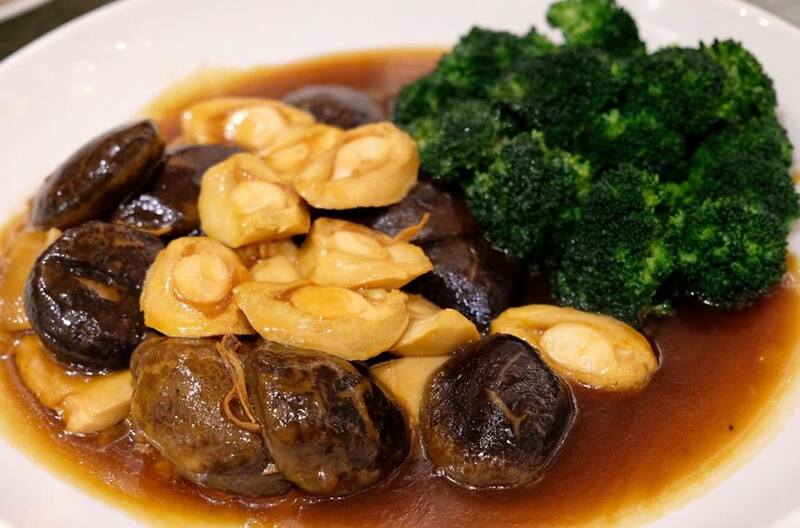 An auspicious dish not to be missed, the tender abalone cooked to perfection was luxuriously rich in flavour, not to mention the amazing, thick and meaty mushroom too. 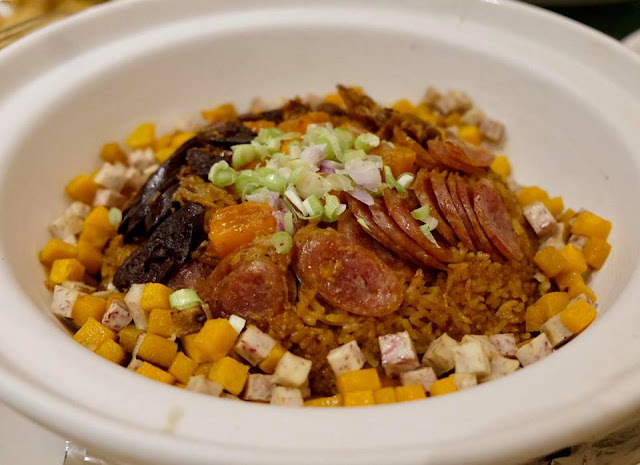 Flavoursome and fluffy rice generously topped with yam, pumpkin, preserved meat and sausages, the hearty and delicious claypot rice tastes so awesome with great flavours of all the ingredients. 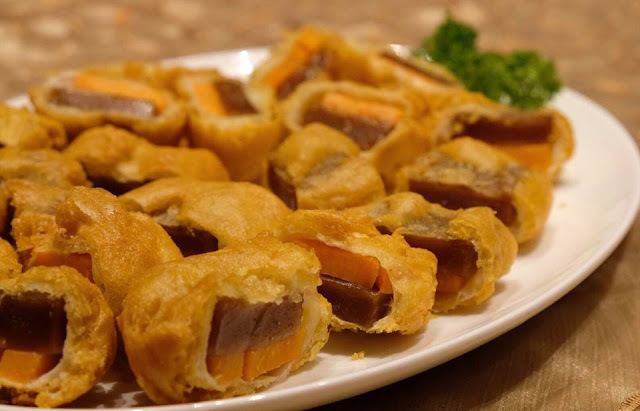 These delightful sweet potato 'nian gao' with crispy outer layer were simply addictive. 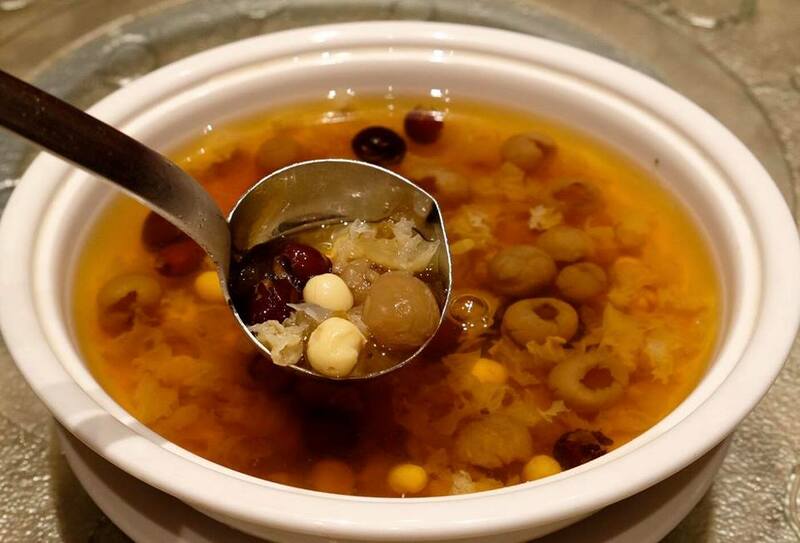 The chilled nourishing sweet soup was perfect to end our meal on a sweet note. 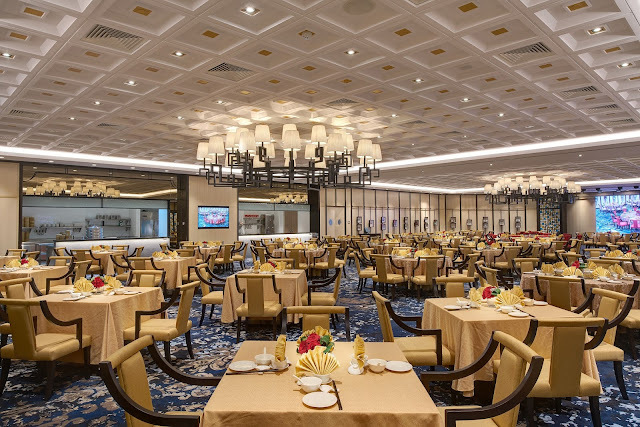 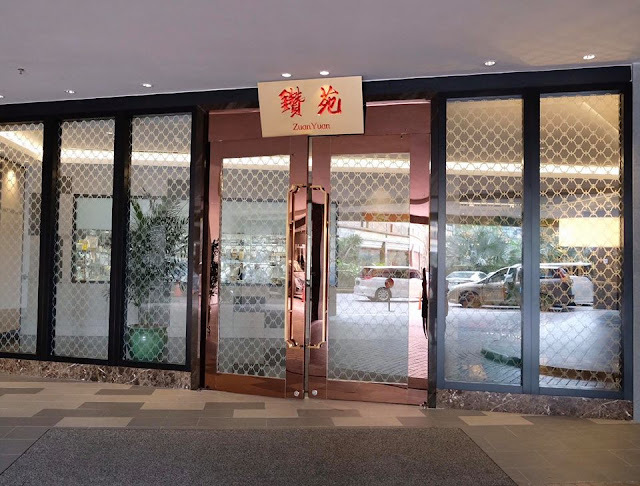 The all-new Zuan Yuan's spacious and pillar-less dining area exudes a warm and inviting ambiance, perfect for socializing with family, friends and business associates. 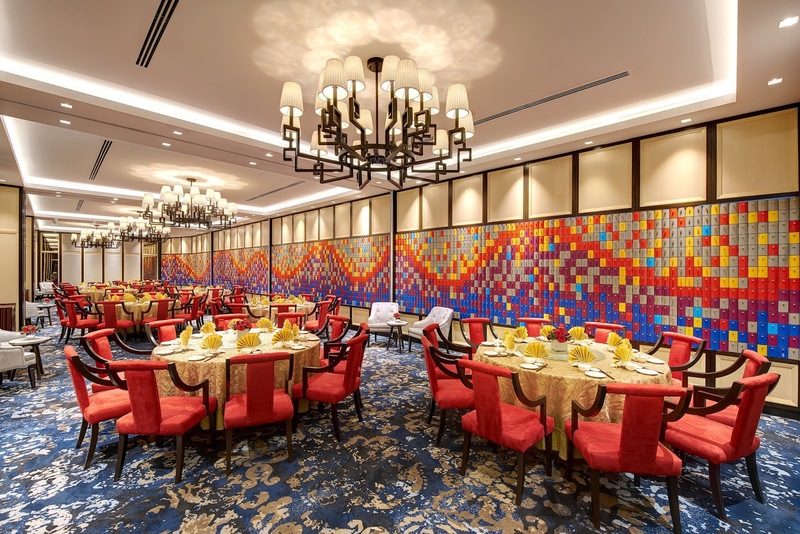 The private rooms are complemented by stylish and colourful wall decor exudes a hip and vibrant ambiance.